Ortelia provides exhibition design software and audience engagement applications to the cultural heritage sector. Over 70 galleries and museums trust us and our products. Ortelia is committed to innovative digital services and audience engagement applications for the GLAM sector. Our exhibition design software, Ortelia Curator, assists with active exhibition design as well as providing a simple tool for archiving important exhibitions virtually. Ortelia specialises in creating interactive 3D and 2D narrative driven environments using the client’s content (for example, existing exhibitions or collections). These environments can be delivered across the web, as mobile applications or as stand-alone. One of Ortelia’s underlying aims is to explore the dynamics of cultural space. By granting public spaces a virtual presence, Ortelia provides users with the means to understand the nature of those spaces more profoundly. Ortelia takes its name from Abraham Ortelius, a sixteenth-century geographer who is credited with making the first map of the world, Theatrum Terrarum (Theatre of the World). With Ortelia, users are provided with a new way of mapping their cultural worlds. The Ortelia team is comprised of professionals from the fields of gaming technology, drama, real-time modeling and real-time content development. Lazaros is one of the three founding members of Ortelia Interactive Spaces. Prior to forming Ortelia, Lazaros worked in organisations as diverse as British Aerospace, Queensland Department of Natural resources, and the University of Queensland to name a few. He has been working in the 3D real-time and simulation industry for 15 years.Lazaros has extensive expertise and keen interest in 3D visualisation, Real-time applications and the integration of geographic data into 3D environments. He continues to maintain a core focus of applying 3D interactive technologies in the cultural heritage sector. Lazaros continues to maintain strong contacts with University environments and maintains an active lecturing schedule at a number of universities. Darren is one of the three founding members of Ortelia. He has been involved in the Virtual Environment industry for over 9 years, having developed many projects ranging from immersive medical simulation applications to property development tools. Darren also has experience as both a lecturer and researcher, and has spent time working as a visual effects artist on television and film projects in the Post Production industry. Joanne Tompkins has an international reputation in the research of theatre space. 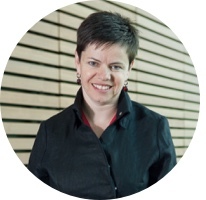 She teaches Drama in the School of English, Media Studies and Art History at The University of Queensland, where she is currently Head of the School. She is the author of Post-Colonial Drama (with Helen Gilbert), Women’s Intercultural Performance (with Julie Holledge), and Unsettling Space: Contestations in Contemporary Australian Theatre. She co-edited Modern Drama for five years, which also involved co-editing Modern Drama: Defining the Field (with Ric Knowles and W.B. Worthen). 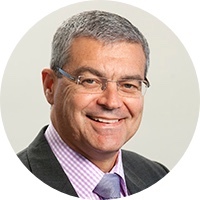 Stephen has extensive experience in mergers and acquisitions, business valuations, accountancy services, and income tax compliance gained from positions as Company Secretary and Chief Financial Officer of various public companies, and with major chartered accountancy firms in Australia and the United Kingdom. He provides Board and Company Secretarial services for a number of start up technology and public companies.Stephen has a Bachelor of Business in Accountancy, Graduate Diploma in Applied Corporate Governance, and is a member of the Institute of Chartered Accountants in Australia, and the Australian Institute of Company Directors.